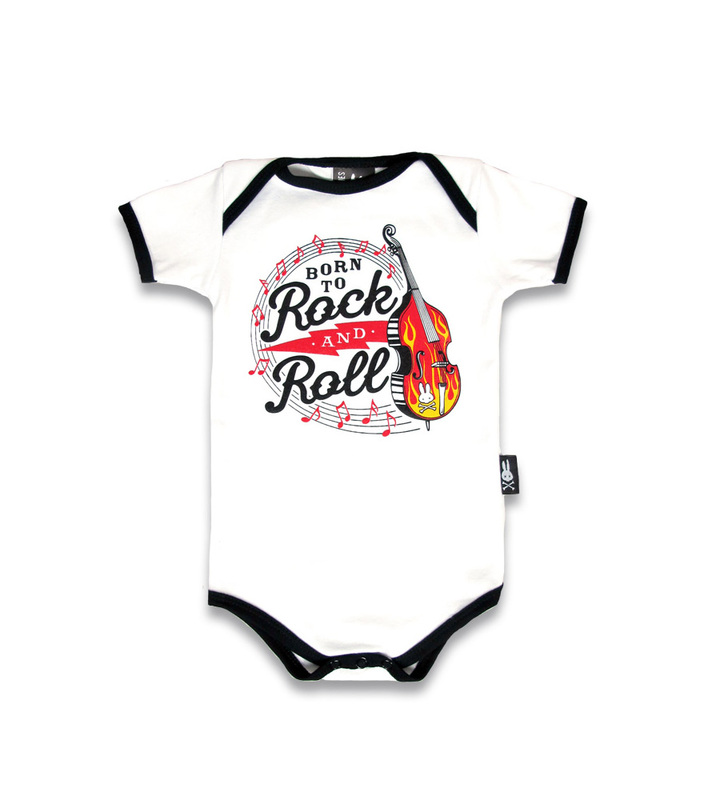 Was your grandpa a high-rolling, music loving, leather wearing greaser? 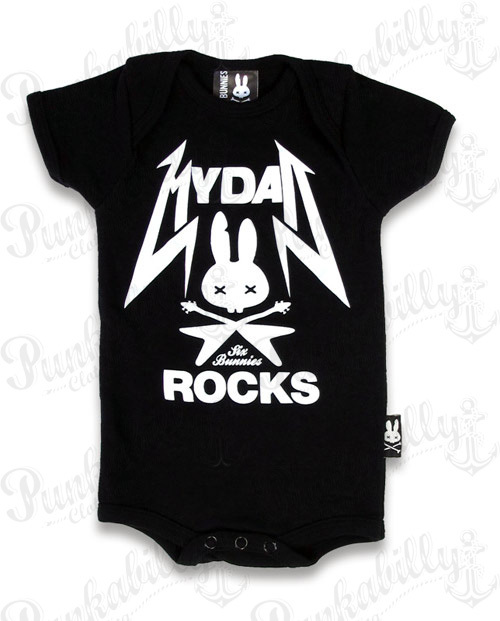 If so, he knows what it means to love rock and roll. 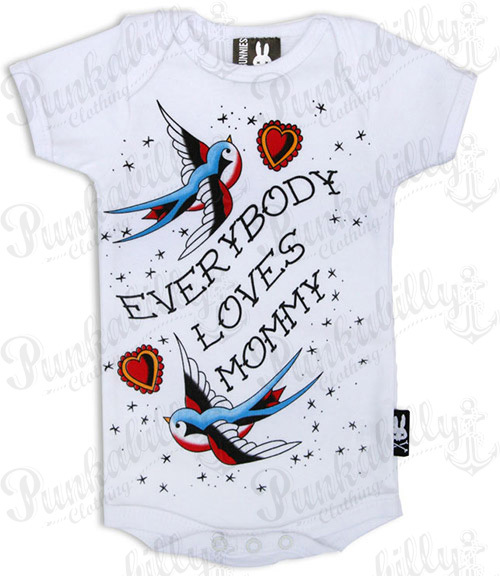 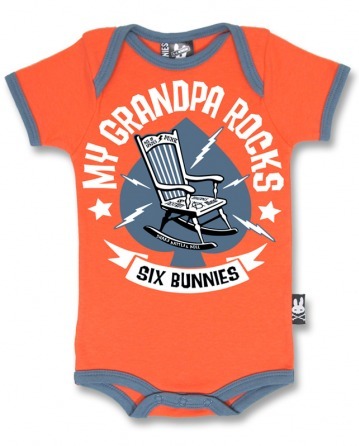 Show off your baby’s love for Grandpa in this blue and orange Six Bunnies “My Grandpa Rocks” onesie.